The Applied Chemical and Morphological Analysis Laboratory (ACMAL) on campus received a new PHI 5800 X-ray photoelectron spectrometer (XPS). 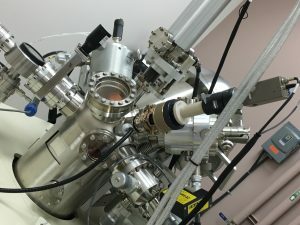 The PHI5800 XPS is equipped with dual source anode (Al and Mg), a hemispherical analyzer, for XPS and AES analysis, including elemental mapping capabilities, an electron gun source for AED analysis, an ion sputter gun for depth profiling, a heatable sample stage, and stage tilting for angle-resolved XPS. The XPS was generously donated by the Army Research Laboratories with the help from the Department of Chemistry. The new XPS will help ACMAL and chemistry students greatly expand their research. The Applied Chemical and Morphological Analysis Laboratory is a Michigan Tech University Core Facility which is part of the Materials Characterization & Fabrication Facilities. Graduate student Gemechis Degaga (Chem) and Loredana Valenzano (Chem) have published the paper “Part I: C2-C4 Hydrocarbons Separation Addressed via Molecular Cluster Models Carved Out from Periodic MOF-74-Mg/Zn Structures” on Chemical Physics Letters. The paper can be found here. Tarun Dam led a new study, published this week in Biochemistry, examining the biomechanics of galectin-3’s interaction with glycosaminoglycans (GAG) and proteoglycans. His team includes graduate students Melanie Talaga, Ni Fan, Ashli Fueri, Robert Brown and Research Assistant Professor Purnima Bandyopadhyay. At the Laboratory of Mechanistic Glycobiology, Dam and his students study the sugar, including glucose and other structural, complex sugars, that fuel our bodies. 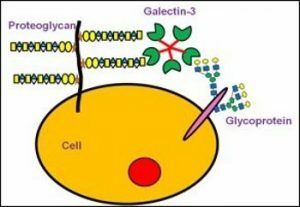 GAGs assist in controlling growth factor proteins, which go unchecked as cancerous tumors grow. Read more on Michigan Tech News, by Allison Mills. Climate science does not translate directly into political action to curb climate change. We are conducting a global experiment by modifying the basic chemistry, physics, and biology of the planet. Climate science explains past changes and projects the possible outcomes of this experiment according to parameters that are adjusted through political decisions. The public cannot be expected to grasp all the details of climate science. Yet public acceptance of its key findings is essential to support climate policy. Recognition of the consensus among experts is a gateway to accepting the reality of climate change. How do we know there is a scientific consensus and how do we communicate that fact to the public? 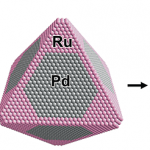 Michigan Technological University chemists Xiaohu Xia and Haihang Ye, together with researchers at the University of Texas, Dallas, and elsewhere used a ruthenium chloride solution to preferentially deposit ruthenium on the edges and corners of nanosized palladium octahedral seed crystals. Read more at Chemical & Engineering News, by Mitch Jacoby. The world is run by catalysts. They clean up after cars, help make fertilizers, and could be the key to better hydrogen fuel. 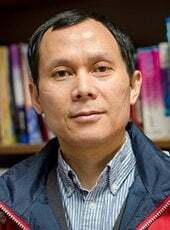 Now, a team of chemists, led by Xiaohu Xia from Michigan Technological University, has found a better way to make metal catalysts. Read more at Michigan Tech News, by Allison Mills. Graduate student Sasha Teymorian is a Fall 2015 recipient of the Dean’s Award for Outstanding Scholarship, as announced by the Graduate School. Teymorian’s advisor is Pushpa Murthy. 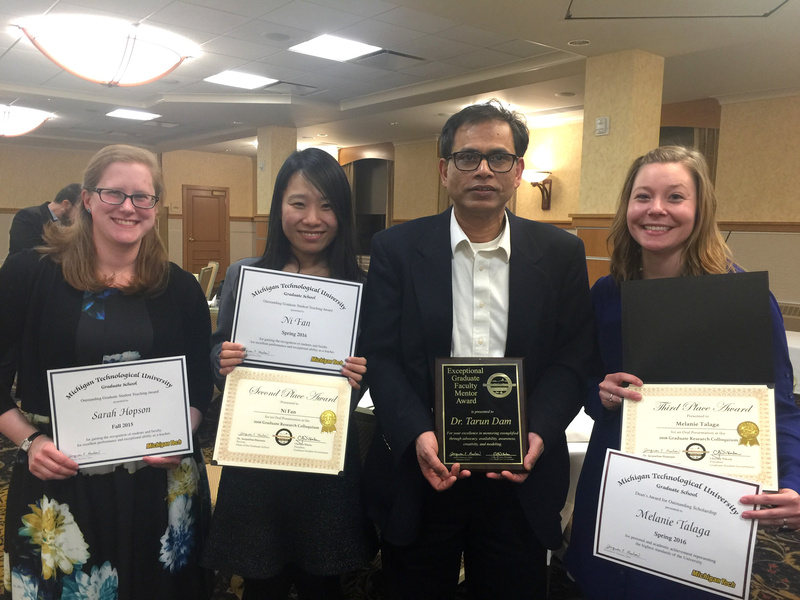 Assistant Professor of Chemistry Tarun K. Dam received the Exceptional Graduate Faculty Mentor Award from the Graduate Student Government. The recognition is for excellence in mentoring exemplified through advocacy, availability, awareness, creativity, and modeling. Graduate student Ni Fan is a Spring 2016 recipient of the Outstanding Graduate Student Teaching Award as announced by the Graduate School. Fan’s advisor is Tarun Dam. Fan also received the Second Place Award for an Oral Presentation at the 2016 Graduate Research Colloquium. Graduate student Sarah E. Hopson is a Fall 2015 recipient of the Outstanding Graduate Student Teaching Award as announced by the Graduate School. Hopson’s advisor is Marty Thompson.